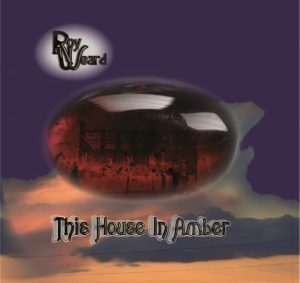 The new ‘solo’ album by Roy Weard. 50 mins. The album features 7 new songs some of which were performed by the Brighton band in the last couple of years and has performances by Andy Power, Cliff Dowding, Saskia Wesnigk-Wood, John Dowle, Simon Young, Joe Colburn, Damo Waters, Gregg McKella, Gav Cantrell, Nick Pynn, John Trelawney, Marcus Weeks, TyLean, Pixie Tonks Dhel, Adam Barrett and Bill Smith. 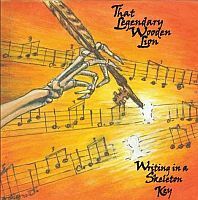 It comes in a deluxe gatefold cardboard sleeve with an 8-page lyric book. The book by Roy Weard. 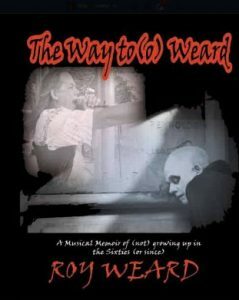 ‘A musical Memoir of (not) growing up in the Sixties (or since). Collected stories of Free Festivals, gigging on a small scale in the 70s and then touring as a sound engineer for an assortment of bands and solo acts. Roy toured with Pink Floyd, Genesis, The Sensational Alex Harvey Band, The Rolling Stones, Manfred Mann, Steve Harley and Cockney Rebel, Gary Glitter, Eric Burdon, Donovan, and many more. Life, Love, Music and Mayhem around Europe. It is all here complete with many pictures – almost all taken either by Roy or of him. 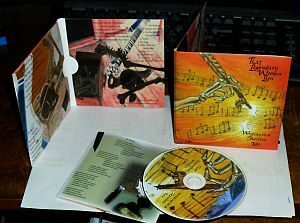 The CD comes in a deluxe gatefold sleeve with a 12 page booklet and an hour of music. Four tracks were recorded live at the Bridgehouse II in Canning Town London. The other six were recorded at Northbrook Studio, Worthing. It features guest performances by Nick Pynn on violin and Darren Reynolds on Double bass. 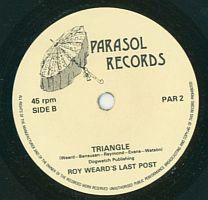 There are a limited number of copies of the 1981 single by Roy Weard and Last Post – ‘Triangle’ b/w ‘Monopoly’ on 7″ vinyl.